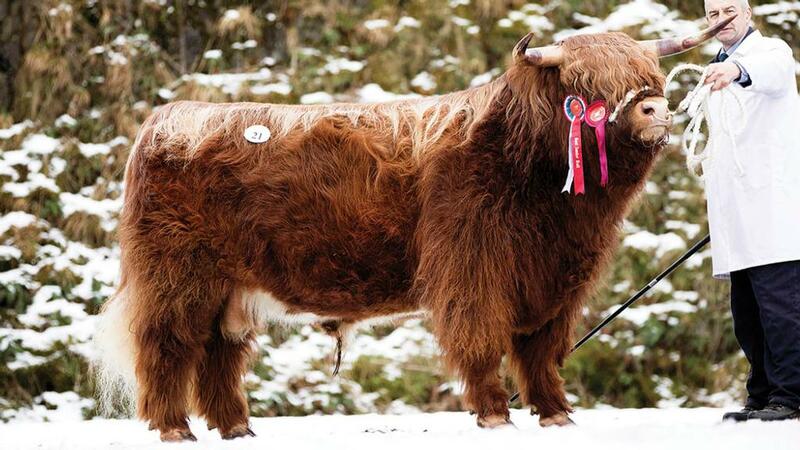 The spring show and sale of Highland cattle at Oban peaked at 10,000gns for the reserve male champion, February 2015-born Eoin Mhor 17 of Mottistone which had been male champion and reserve overall at the 2017 national show. Consigned by Michael Poland, Southampton, it sold to Castles Estate, Dalmally. 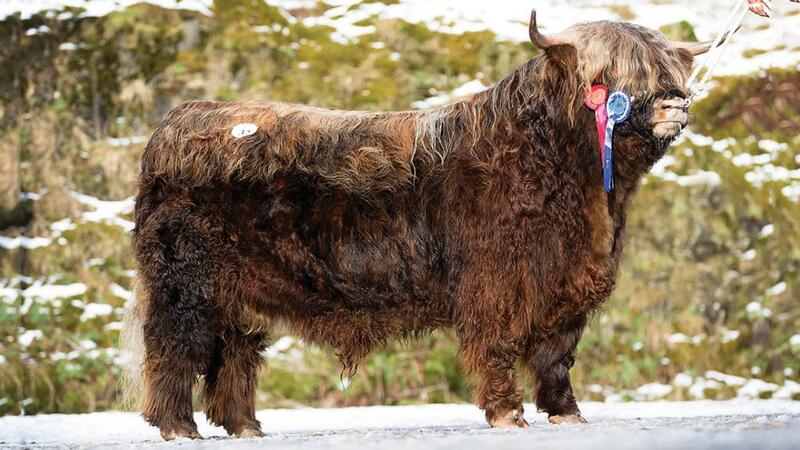 Eachann Ruadh of Hyndfort, a March 2016-born bull from Alan Prentice, Ravenstruther, which had been reserve male champion at the Royal Highland Show 2017, took the male championship before selling for 8,000gns to the judge, Charlie MacLean, Eastleigh. Making 7,500gns was Fionn Mhor of Strathellie, an August 2015-born bull from David Soutar, Alyth, Perthshire. 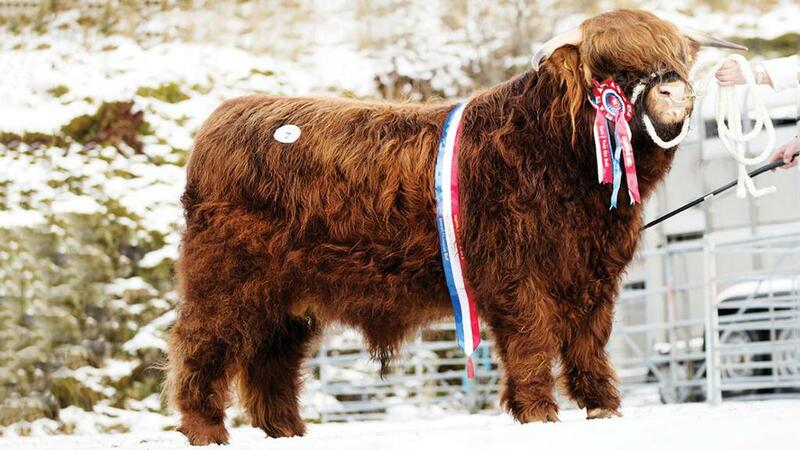 Mr Poland then paid 5,500gns for Coirneal 2 of Balmoral, a two-year-old bull from Balmoral Estate, Ballater. The female champion, Furan Magaigh 7 of Glengorm, an in-calf heifer consigned by Glengorm, Isle of Mill, sold for 3,800gns to P. Glover, Wigan. Castles Estate then paid 3,500gns for the in-calf heifer, Gruagach 51 of Ormsary from Sir William Lithgow, Bt and Son, Lochgilhead. Averages – 11 two-year-old bulls, £3,360; 7 senior bulls, £4,814; 4 yearling bulls, £1,167.60; 3 senior heifers, £3,430; 7 three-year-old heifers, £1,372; 5 two-year-old heifers, £2,089; 11 yearling heifers, £630; 2 cows, £1,444.